One of the most common complaints from new eBay bidders is that they get outbid with frustrating speed and consistency. 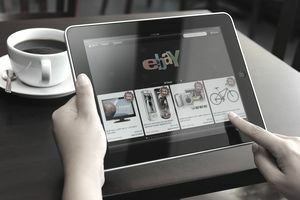 More cautious new users are often convinced that eBay is full of shill bidding, but in actuality, it's very common to be outbid on eBay, and even to be outbid quickly, for several reasons. The simplest way to get outbid is because your bids are too low and eBay is a very popular marketplace. However, there are several more nuanced answers that might help to further illustrate common reasons for being outbid including the number of bidders on eBay, auction prices tending to meet fair market values, and eBay's proxy bidding system that leads to last-minute outbids. If you are a new eBay user and find that you are repeatedly or rapidly outbid on auctions that you'd very much like to win, you may want to learn about the eBay bidding system and how it works so that you'll be less likely to be outbid in the future, and so that you will understand why you've been outbid when it happens to you. Since its beginning in the 1990s, eBay has played host to hundreds of millions of auction listings, and these auction listings don't exist in a vacuum—they are supported by millions of bidders around the world. If you've got a hankering for a particular item, chances are that someone else somewhere has a hankering for that same item; in fact, chances are that if there's one buyer for an item in the world, there are dozens, and although bidding for many of the items on eBay begins small, often at $1.00 or even $0.01, there are usually far too many interested parties for that price to last. Because of this high rate of competition amongst bidders, it's easy to feel like you're always getting outbid, because you are—with so many people on the server, you're likely going to be fighting with at least one other person for nearly every eBay auction you click on. Not to worry, though, there are ways to work around the high traffic volume, especially on popular items and auctions, and a little bit of luck and well-timed bids will allow you to walk away with that item of your eBay dreams. At first glance, an iPod with a current price of $10.00 looks like a great deal—but you must remember that most eBay items are sold as auctions, not at-value sales, and whether at eBay or elsewhere, until an auction has closed other people are likely to bid on it if the current bid is below market value. The international nature of eBay compounds this likelihood. In general, someone somewhere will always be willing to bid on an item that is undervalued. By the time most auction listings close, therefore, the winner has agreed to pay a fair market price for the item. Abetting your expectations of "great steals" on eBay auctions will help mitigate the disappointment for being outbid—and increasing your maximum bet will most likely result in you getting closer to winning an auction on your desired item. More than being frustrated simply because they've been outbid, many new users are frustrated at having been outbid so very quickly. It is not at all uncommon to be outbid immediately on eBay and to be outbid this way over and over again with repeated attempts to bid on the same listing. This happens not because another bidder or the seller is cheating but rather because of the proxy bidding system that eBay uses, which allows users to set their maximum bid and increment of bid increase that is automatically applied when someone outbids them on an item. What this means for competing users is that every time you outbid another person with a higher maximum bid, the eBay proxy system will place a bid for that person resulting in an immediate outbid. The best way to get around this is to wait until the auction is almost over, set your maximum bid up as high as you're willing to go, and start bidding only when the auction draws to a close.